AOMEI Backupper is an excellent PC backup app. Its interface prioritizes the backup and restore processes and provides little room for user error. The compression rate was the best in our tests. AOMEI Backupper is incredibly straightforward that even a complete novice will have their whole system and files safely saved in no time, with a regular schedule. AOMEI Backupper is awesome. Its team solved tough problem for me. I think it is a unique and personal software belonging to me. 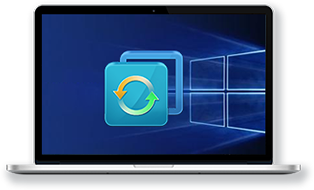 Complete, easy and fast Windows PC backup software for personal and business use. Reliable, profitable and cost-effective data backup & disaster recovery toolkit for Enterprises and MSPs. The reliable data backup and disaster recovery solution for Windows Server machines. Note: The "Clone" Feature is not available in Free Trial version. Except for that, all features are fully functional for 30 days starting from the date of installation. Perform centralized backup from a single console. Real-time monitoring entire backup process and results. Various backup rules to meet all kinds of demands. Best choice for Enterprise and Managed Service Provider (MSP).